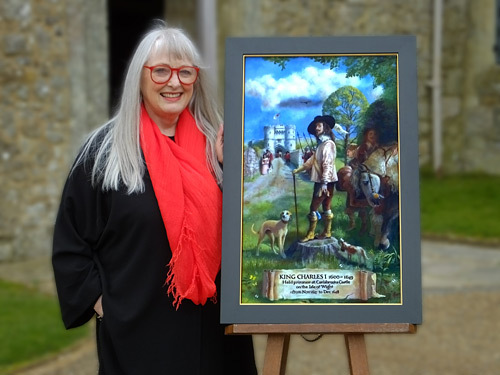 The Friends of Carisbrooke Castle Museum is a small charity, which has worked for over 60 years to support the aims and activities of the Trustees of the Museum. Most of our 250 members live locally. We hold regular talks, meeting in the Museum ten times a year. These are varied in content but generally reflect the members’ interests in local history, social and art history. Fifty people usually come along each month. We run raffles, draws, book sales, attend fetes, put on occasional events such as special daytime lectures, wine tasting, coffee mornings and an annual draw. We also aim to promote the public awareness of the Museum. How does this help the Museum? We are a separate charity to the Museum, allowing us to raise funds for special projects in a variety of ways. In recent years our fundraising has become increasingly important to maintain the Museum. What have we provided for the Museum? 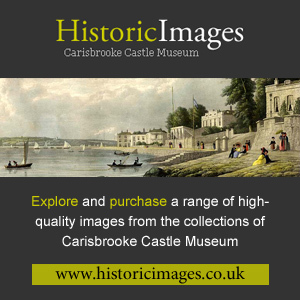 museum, photographing items for the Historic Images website and many other tasks as required. How can I join the Friends? Can I use Gift Aid? All events listed below take place in the Great Hall at the Museum (unless otherwise stated). If you would like to bring a friend, non-members are welcome to come as visitors and we ask them for a minimum donation of £3 per visit. of some of the shipwrecks off the Island coast. how we have tried to contain them. to the next year in the museum. of the Isle Of Wight through the seasons. You can read the latest Friends’ newsletter here.